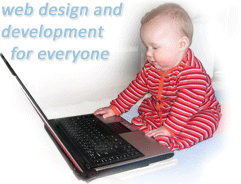 We live and breath Joomla, coding up templates and developing modules, plug-ins and components. We're also do a lot of integration work with other extensions like JomSocial, jReviews, VirtueMart, jShopping, K2 and many others. We typically work with creative agencies as a web development partner. Whatever size your company, we can add expert programming skills to augment your in-house capabilities. In this capacity we work with all sort of agencies, for example, multi-disciplinary, digital, graphic design, PR and marketing. We can provide end-to-end solutions to meet your requirements. For e-learning, e-commerce, extranet, group communications or a variety of other requirements, we can provide a perfect fit solution to meet you needs. Software Systems: Open For Business is a small web design and development company, based in Aberdeen, UK. We specialise in Joomla Development, Web Design, Simple Web Publishing, Content Management Systems, Relationship Management Systems - CRM and Enterprise Applications, but whatever your needs, we'll have a solution for you. We give people great web systems without the drawbacks of a lot of large providers. Most web solutions sold are proprietary, with black-boxes that cannot be modified and lock you into the original supplier. We use Open Source Software, enabling us to deliver tailor made solutions that do not lock you in. If you're already locked in to an existing provider we will help you to migrate to a new solution. Whatever your needs we can meet these using using the vast array of excellent open source software. Following in the theme of openness, we will be completely transparent and open in business. We will not lock you in to a solution. We will not charge you for support or maintenance you don't need. We will explain the disadvantages, as well as the advantages of any solution. Basically it's about software, being open, and doing the business. Although we're based in Aberdeen, Scotland, we've got very happy clients all over the world. Whether you're on our doorstep, or half way round the world we're at your service.